Remove one enemy's Evade buff. recover 500 HP Regen per turn to all allies while on the field. 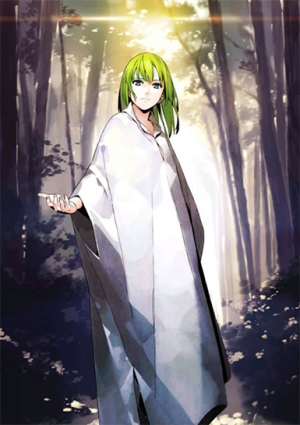 From its gentle tone and graceful bearings, one would never guess that this is a “Noble Phantasm with a will” that possesses a fierce combat power. 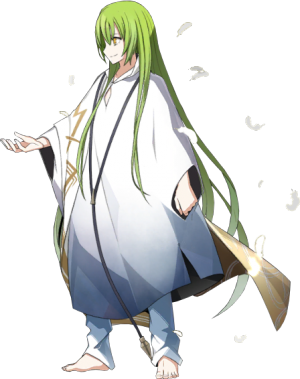 The chains that fasten heavens and earth, regarded by the King of Heroes Gilgamesh as one of the strongests. A doll created by the hands of the gods, and also an offshot of the earth that harmonizes・becomes one with nature. “If you tell me to fight, I’ll fight. One of the oldest heroes described in the Epic of Gilgamesh. A weapon manufactured by the gods. Originally, it was “a clay work that could transform into anything” produced by the gods. It phantasmagorically changes its shape in accordance with circumstances. Its whole body is equivalent to a weapon of gods. However, it does not have the same mentality or emotions as people, and at first it was not all that different from a wild beast. It has been said that, after appearing on this world, it became aware of much by meeting with a single sacred prostitute and eventually choose to take the shape of a person (as its basic form). This appearance is something modeled after said sacred prostitute out of respect. 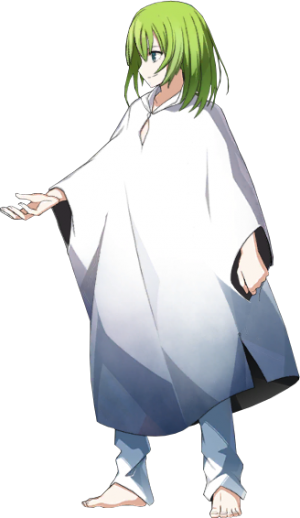 Its combat strength is roughly the same as that of the King of Heroes Gilgamesh during his golden age. In the battle against Gilgamesh described on the Epic, it displayed a performance on par to him, who is recognized as one of the strongest heroes in human history. The first friend ever discovered by Gilgamesh, who was an aloof existence, and it too perceives Gilgamesh as its peerless friend. 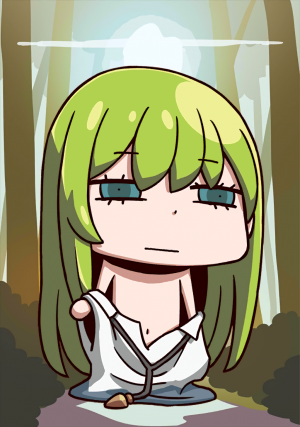 After the fight on the city of Uruk, the friends Gilgamesh and Enkidu underwent many adventures, but it ultimately lost its life after the battle with the divine beast Gugalanna. Usually it just loiters like a beautiful flower but, once it gets on the move, it becomes a frightening active monster that doesn’t wait, has no mercy and show no self-restrain. Since they are life forms born from the Earth, it also finds humans “appealing”. But, because humans think of themselves as beings apart from nature due to their intelligence, they rank low as protection targets. It feels that animals and plants are existences closer to itself and it mostly takes action in order to protect them. 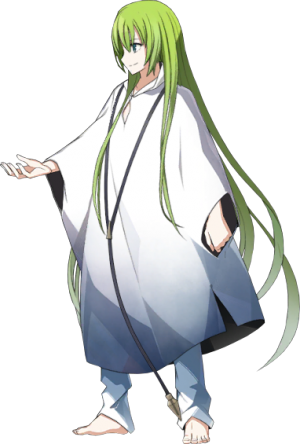 That being said, since it had great curiosity (intellectual craving) to begin with, Enkidu regards conversations with humans as an enjoyment. If said character has an appealing personality (a totalitarian brimming with philantropous mentality, and yet who thinks of himself as foremost), it will demonstrate respect and admiration from the bottom of its heart, feeling joy in support him as a friend. 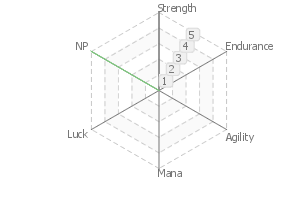 A unique skill in which parameter values are allotted in accordance to the situation from a prescribed comprehensive value. 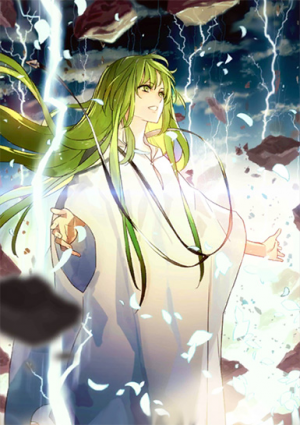 Enkidu’s greatest feature. At times it makes Strength into A Rank, at times it makes Endurance into A Rank. 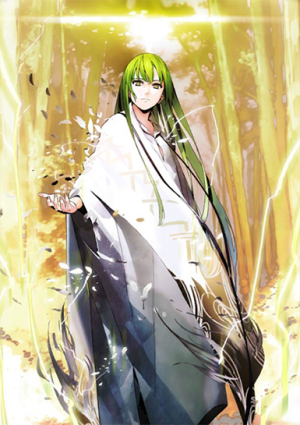 Enkidu possesses a comprehensive value of 30, and each parameter consume the respectively values: A-7 B-6 C-5 D-4 E-3. A powerful regeneration・restoration ability that is completely unprecedented. Enkidu transforms its own body into a Divine Construct. Becoming a linchpin that converted vast amounts of energy to pierce and tie the target. 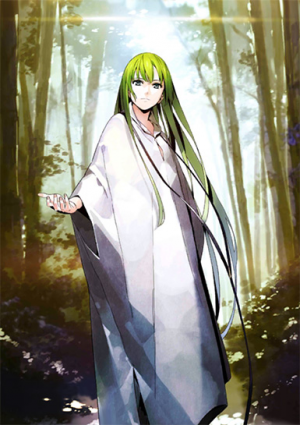 Originally, Enkidu was a weapon dispatched by the gods in order to “restore Gilgamesh to god”. The “Linchpin of Heavens” created so that gods and people would not separate, Gilgamesh. Because such Gilgamesh revolted against the gods, it was charged with the role of binding and bringing him back to heavens. This page was last modified on 8 December 2018, at 05:30.